SSC or Staff Service Selection Exam provides Indian youth the opportunity to apply for various jobs in the government sector. This exam is held for filling vacancies in various ministries and departments of Government of India and in its subordinate offices. As these jobs provide employees handsome perks and various facilities, these are most sought after among the job aspirants. Clerks, data entry operators, stenographers, translators, postal assistants, sub inspectors, constables, junior engineers, auditors, etc. are some of the job positions for which SSC Exam is held. SSC Exam is of three kinds; first one is SSC CHSL (Combined Higher Secondary Level) in which students who have completed their 10+2 can appear and the second one is SSC CGL (Combined Graduate Level) which is meant for those students who have completed their graduation. The third one is for students who have cleared their 10th. For preparing for an SSC exam, candidates need to take note of the syllabus for the exam, eligibility criteria for it, the paper pattern as well as focus on preparation tips. English Language, General Intelligence and Reasoning, Quantitative Aptitude, General Knowledge and Awareness are the main four sections of the exam. To improve their chances of clearing the SSC exam, candidates should make a proper strategy for it and study in a focused manner. 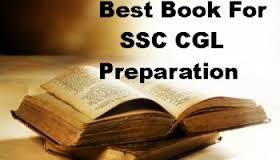 They should study from best books for SSC offered by a leading Chandigarh based book store, Amit Book Depot. Here they can easily find and purchase those books they want for their preparation for their SSC exam and that too at affordable prices. Studying from top books for SSC will help them grasp a better understanding of the concepts and let them better prepare for their SSC exam. They should also solve practice papers contained in them as well as question papers from previous years. Aspirants should learn the formulae by their heart. They should develop short cuts, so they can solve the questions quickly. This would help them solve maximum number of questions in limited time. The more they will practice the questions will help to give them confidence when they actually sit in the exam. The aspirants should study devotedly for some hours on a regular basis and remain focused in their study. There are also negative marks in the exam, so candidates should attempt only those questions which they know well and and leave the rest. Such tips and advice will help you in successfully clearing the SSC examination and in getting your desired job in a given government department. 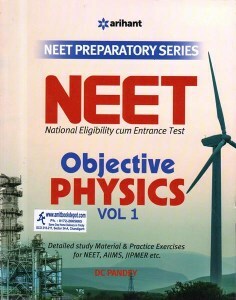 Apart from offering quality books for SSC exam, this elite book store also offers best books for JEE Mains, written by knowledgeable and expert authors for students preparing for the JEE Mains Exam. This top level exam is conducted after 10+2 for students aspiring to get admission in the National Institutes of Technology (NITs), Indian Institutes of Information Technology (IIITs), and some other colleges designated as Centrally Funded Technical Institutes (CFTIs). Students studying here will become engineers after completing their engineering course. Thus they can embark upon a rewarding and satisfying career in the field of engineering. Apart from studying from their teachers at their school, the students keen to appear in JEE Mains Exam should also study from the best books for JEE Mains. So they can grasp better understanding of topics covered in their class. They should also get enrolled in a coaching class where they will be taught by expert teachers and made to solve practice tests. Here they will also get to learn various ways which would enable them to perform better in their exam. Understanding concepts, studying consistently in a focused manner and maintaining good health during their preparation holds the key for success for students in the JEE Mains Exam. Such useful tips and advice would help students to better prepare for their JEE Mains or SSC Exam and enable them to crack it successfully. So they can fulfill the dream of studying in a top rated engineering college of their choice or get a good job in a particular government department. Thus they can embark upon a successful and rewarding career in their chosen field.